Venture out of the city with trips to Pali (Somnath Mandir, Parshuram Mahadev Temple, & more). Spend the 23rd (Sun) wandering through the wild on a nature and wildlife tour. There's much more to do: steep yourself in history at Mehrangarh Fort, admire the natural beauty at Mandore Garden, whizz through the canopy at some of the top local zipline courses and adventure parks, and stop by Mohanlal Verhomal Spices (MV SPICES). 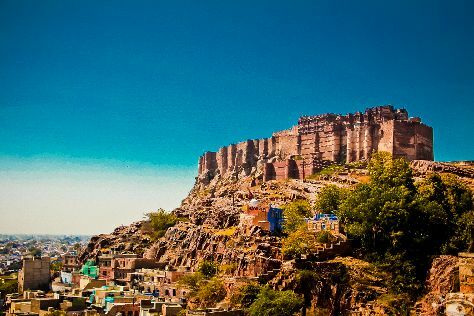 To find where to stay, more things to do, and other tourist information, use the Jodhpur trip planner . Expect a daytime high around 32°C in December, and nighttime lows around 12°C. Finish your sightseeing early on the 25th (Tue) so you can travel back home.